Another foreign automaker plans to create American jobs by making cars in the United States. 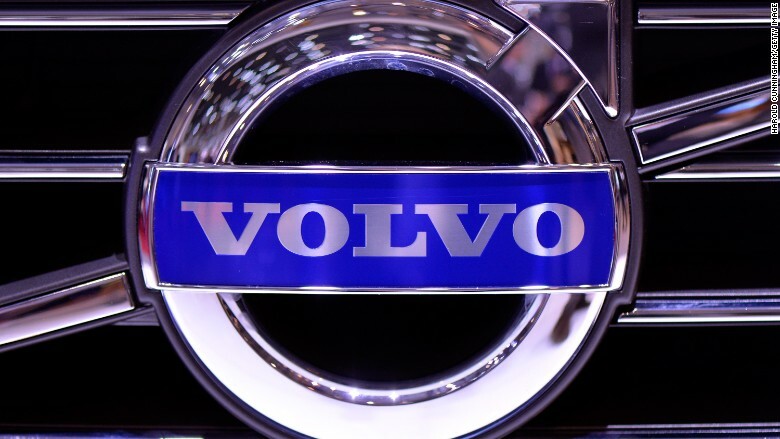 Volvo said Monday that it will build a new manufacturing plant in South Carolina. Located in Berkeley County, it is expected to create 2,000 new jobs over the next decade, and up to 4,000 jobs by 2030. Construction will begin later this year and Volvo expects to begin rolling out cars from the factory in 2018. Volvo, which was bought by the Chinese automaker Geely Holding Group in 2010 from Ford Motor (F), makes cars in Sweden, Belgium and China. It first announced plans to build a U.S. plant in March. The news is another sign the United States is becoming a key manufacturing hub for global car companies. Automakers from Asia and Europe have opened more than 30 plants in the United States, most of which are in the South. German automaker Volkswagen (VLKAF) has a large manufacturing plant in Chattanooga, Tenn, while BMW is spending $1 billion to expand an existing factory in South Carolina. South Carolina is home to 250 automakers and suppliers, making it the leading U.S. state for exports of both tires and automobiles, according to Volvo. Volvo said it chose the location because of a "well-trained labor force," proximity to international ports and the state's "attractive investment environment." The plant is expected to produce 100,000 cars a year and is part of Volvo's plan to double global sales over the medium term. Volvo said earlier this year that it will be the first automaker to sell Chinese-made cars in the United States. However, the company has not announced when it plans to begin importing its S60 Inscription sedans. It sells about 25,000 of them in China.